I ordered pulleys and belts from B&B Manufacturing ( http://www.bbmfg.com/ ) I bought two 18-2P09-6AF2 pulleys, a 742-2P-09 belt and a 994-2P-09 belt. I recessed the Y axis motor bracket by .250" to reduce the overhhung load. I also had to slot out the X axis belt clamp fixing holes to allow alignment to the new belt. as are the ider pulleys. Time will tell whether these tweaks give improvement, but I’m a “CNC nerd” so they can’t hurt! Full disclosure, yes, I also have a Tormach 1100. I’d be happy to do the mods for anyone interested. But this could be done (more slowly) on a round-robin basis by two or more Nomad owners. Owner A sends parts to owner B who modifies owner A’s parts, installs them, modifies his own parts and sends them to owner A, etc. Hmmmm… I can’t see how wider belts would increase parallel stiffness? can you talk me through your thoughts on this? @nick, the reinforcing fibers in the belt are what transmits the load. Wider belt = more fibers. More fibers transmitting the same total load means less load per fiber, which means less stretch in each fiber. It’s been discussed (with anecdotal results) on the Shapeoko thread I linked in my first post. Yes but It is unlikely that you are going to come near a force capable of stretching those fibres even a little bit, it is more likely for the teeth to slip over the pulley than for the belt to slip. I am pretty sure they use fibreglass strands as the reinforcement of the belts and assuming it is the most common fiberglass that is used it will be ‘EGlass’ which has a tensile strength of 1770 MPa!! But wide belts would also increase the surface area in contact with eh pulleys teeth increasing its grip on the belt so wider belts could help! @nick, you’re right that the wider belts give more contact area with the pulley. 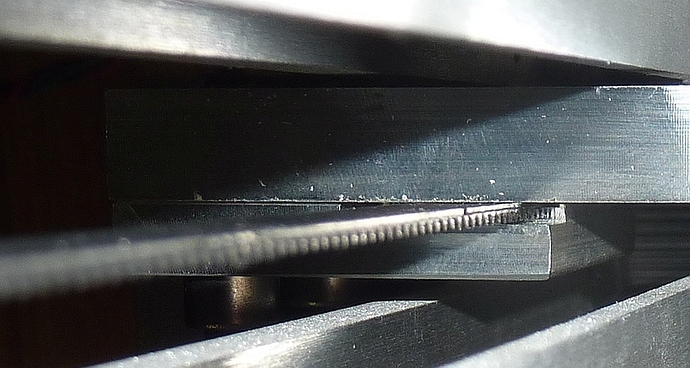 But the main gain is in the extra tensile members. Here’s a little [video] (about 11MB AVI) that shows the compliance of the stock belt. I was not pulling nearly enough to cog the motor or skip a belt tooth. 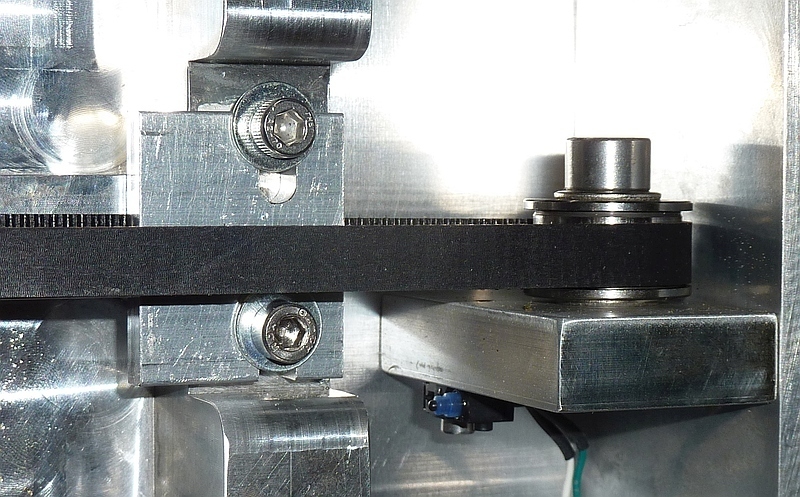 Belts used in many CNC machines are reinforced with Kevlar strands. A friend on mine has a machine with commercial Kevlar reinforced belts. Serious tensile strength - 2757 MPa. Some of these machines - all with belts - have been production for a decade - and the belts are still fine. I think EGlass can be even stronger - over 3000 MPa. That video is interesting actually. Could you do a similar deflection test as a control using the z carriage as this axis on the nomad appears to have a lead screw. This would give us a reference point to compare the flex of the belt driven carriage. More engagement (area), less stress. The reinforcement largely maintains the linearity of the belt as a whole. The belts and gears are wider. Are the teeth in the gears and belts the same? If they changed, how so? @nick, the Pro X and Y leadscrews and nuts look from the photos to be the same as used on the Z axis. I’ll do a comparitive Z axis flex test when I get the opportunity. @mbellon, I kept to the 2mm pitch GT belts and pulleys as the stock Nomad has. 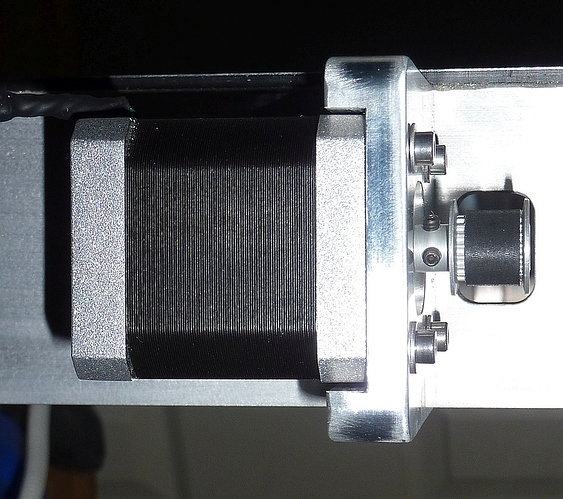 The Shapeoko discussion I linked above discusses the 2GT vs. larger-pitch belts. The GT series of belts was specifically designed for zero backlash, vs. the earlier trapezoidal and HTD series of belts. And the 18-tooth pulleys the Nomad Classic uses are pretty very small so the flexibility of the 2mm pitch vs. 3mm and up is also imortant to retain. Necro reply here, but it’s too late to go back and edit my first post. I typed the wrong URL for B&B Manufacturing. It should be http://www.bbman.com/ .